His Holiness Pope Francis received the Ambassador of the Republic of Armenia to the Holy See Michael Minasian on the occasion of the completion of his diplomatic mission. At the meeting, His Holiness touched upon the fruitful activity of Ambassador Minasyan aimed at expanding Armenia-Vatican relations. Ambassador Minasyan thanked for the effectiveness of the Holy See during his diplomatic mission, as well as the support and warmth shown by the Pope to Armenia and the Armenian people. 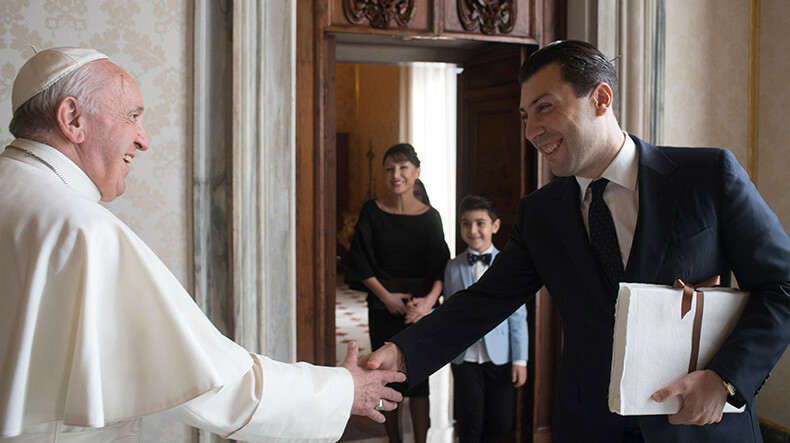 Ambassador Minasyan gave the Pope a book dedicated to the history of the Armenian-Vatican diplomatic relations initiated by the Armenian Embassy in the Holy See.